eMarketing4us is an innovative leader in online internet marketing courses and analytic tools. We provide quality online internet marketing courses that are affordable and easy to use. Whether you are a professional association, community organization, a non-profit, government or marketing agency, you can now become an affiliate partner and offer our courses to your customers. Partner with eMarketing4us and help your customers grow their business online through affordable and accessible online education. 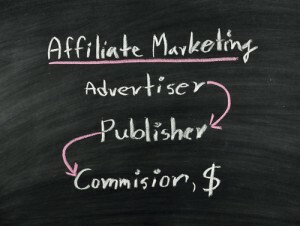 As an affiliate partner, simply market our courses to your customers and receive a commission for courses purchased. As an affiliate partner, you will be given your own personalized portal and affiliate code so you can track your sales online. Our well-trained support staff handles any support issues that develop. All you need to do is sign-up. Please include your name, company, phone number and website or blog address.